I have received several requests over the last few weeks to post the article I wrote for the July issue of Jane’s Intelligence Review on the recent changes in Dharamsala. Since that article was edited down somewhat I decided that it would be more useful for readers of this blog to read the original text. Readers should note that it was written in early June. In late April, at the start of yet another round of human rights talks between the U.S. and China, accounts surfaced—likely from within State Department circles—that assessed the whole process as little more than a tedious exercise in diplomatic theater, with nothing to show following two decades of meetings and periodic dissimulations about the talks being vaguely “meaningful” or “constructive.” If this is a fair judgment of the U.S. human rights dialogue with China, an objective evaluation of the talks that have taken place periodically between the Chinese Government and the Dalai Lama’s representatives would have to similarly conclude that they have been a mix of charade and dissimulation (the latter mostly from the Tibetan side), only more so. The basic Tibetan concession, made in 1988, was the Dalai Lama’s public acceptance of Tibet’s status as a part of China, which undermined the taint of illegitimacy that had always clung to China’s invasion and annexation of Tibet in 1950 and 1951. With no reciprocity from China and a Tibetan establishment incapable of recognizing the failure of the Dalai Lama’s gambit, the Tibetan side proceeded, as if by inertia, down a failed path. What was once a national issue (in 1961 the United Nations passed a resolution that in part recognized the right of the Tibetans to self-determination), was reframed as an issue of internal autonomy, and then reduced to a question of cultural preservation. China has held its ground for well over fifteen years, waiting for the Dalai Lama’s passing which it believes will remove the biggest element of the Tibet issue. The various steps that the exile establishment has taken as “conciliatory”—changes in the exile political structure, the Dalai Lama’s assertion that he wants to be a Chinese citizen; the focusing of the last bilateral discussions on explaining to the Chinese side that the Chinese Constitution and autonomy laws fully accord with the Dalai Lama’s interpretation of autonomy, etc. — have not altered the Chinese stance. The long view of the issue makes the pattern obvious, in spite of the exiles repeatedly and myopically telling themselves that this or that new concession will make it easier for China to come to an agreement. Indeed, each concession from the Tibetan side is eventually perceived as the basic Tibetan position, its nature as a concession forgotten as international relations “realists” and others put the onus back on the Dalai Lama to meet China halfway. There is no imaginable reason for China to abandon a strategy which, though intransigent, achieves its aims. China fully understands that its rise as a world power has sharply diminished the need to placate international critics on an issue that is not a vital interest to other powers. Tibetans continue to assume that China actually wants to reach an agreement with Dharamsala. But China knows that the return of the Dalai Lama to the People’s Republic of China, regardless of what he might say to Tibetans, would create a focus for Tibetan identity and loyalty that would subvert the forms of identity and loyalty promulgated by the state. Over the last year or so preparations were made for the direct, popular election of a new Kalon Tripa. Three candidates emerged, none opposed to the general direction of exile policy. Then, ten days prior to the March 20 election, the Dalai Lama announced that he was now finally going to retire from a political role in the Tibetan Government, an intention he’d expressed before, even stating that he already considered himself semi-retired. The timing of the Dalai Lama’s statement left mere days for Tibetans to discuss the issue prior to the voting. The winning candidate, Lobsang Sangay, a 42-year-old Harvard Law School graduate, campaigned on a platform emphasizing youth and change. But he has always presented himself as a follower of the Dalai Lama’s policies and his pronouncements since the April 27th announcement of his win have all been in accord with this. He declared the Dalai Lama to be his guide and his leader. The election results were followed by a Tibetan “National General Meeting” from May 21 to May 24, dominated by the impact of the election and the announced retirement of the Dalai Lama. These precipitated a need for revisions to the governing statutes of exile political society, especially given that the Dalai Lama had earlier called for the end to the “Government-in-Exile.” The revisions were the real focus of attention among Tibetans. The Dalai Lama refused all requests to remain a symbolic head of state. But he agreed to continue to advise the exile authorities and to meet with world leaders. In effect, in spite of his retirement from an active day-to-day role (formalized on May 31), the Dalai Lama’s stature will ensure the continuity of his basic policy that Tibet is a part of China. While the Dalai Lama may have retired, his influence and the authority it projects have not. The disproportionate presence of his family members within the governing structures of exile society remains as well, sending an unspoken message to Tibetan exile society that the birth of the Dalai Lama in one’s family represents a political and financial boon to the whole family. When the next Dalai Lama is to be chosen this precedent may likely prove a disastrous incentive for factional divisions—and a boon to China, which will enthrone a single candidate of its choosing. Such problems stem from the fact that the Dalai Lama has never seriously educated exile society about his human fallibility and his people’s democratic equality with him. Ironically, only he could have done this. His policies are respected ultimately because of whom they come from, not because of any reasoned, logical debate over their intrinsic merits and defects. The wild card in this consists of those Tibetans inside the People’s Republic of China who live very different lives from Tibetan exiles and in many cases have deep antagonisms with the concrete reality of a Chinese-ruled Tibet. China appreciates (in two senses of the word) that the exiles have gone from a national movement to a cultural movement and they are now forfeiting anything resembling a Tibetan government. For that is precisely what happened after the National General Meeting between May 21 and May 24, and afterwards when the Tibetan Assembly met to consider what had transpired at the meeting. 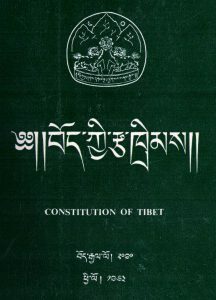 The Assembly already had to deal with popular anxiety about changing the role of the Dalai Lama within the wording of the exile “charter” (constitutional aspirations disappeared some time ago). But further worries were attached to the proposal to eliminate language designating the exile governing structures a “government”—in exile or otherwise. Nevertheless, and in spite of widespread public apprehension (if not outright opposition) expressed inside and outside the National General Meeting, the Assembly rushed through this change on May 28. This, of course, accords with the Dalai Lama’s long-held views: i.e., the world is interdependent and independent states are increasingly meaningless. In this light, the change is by no means inexplicable, especially given the Tibetan leader’s explicit call for Tibetan exiles not to have anything called a “government” and for them to stop referring to the Kalon Tripa as a “Prime Minister.” And this has badly undercut the status of the Tibetan side. 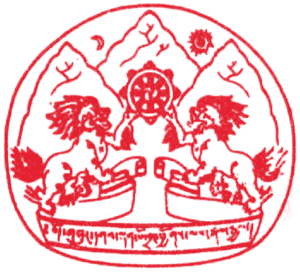 What was previously the “Tibetan Government-in-Exile” is now a “Tibetan Organization;” the official English translation that has been distributed, “Tibetan Administration,” doesn’t communicate just how unexalted the actual Tibetan term is in this context. And what will China’s reaction be? This spring the groundwork was laid to bring scholars and ideologues together to construct a new theory of Chinese national identity, one that will serve the purposes of national unity in the manner that an authoritarian state desires. In this environment the Dalai Lama’s “post-nationalism” recalls the disarmament movement of decades ago: directed at only one side, the side that accepted democratic pluralism and dissent, it left the other side quite untouched. Speculation that the retirement of the Dalai Lama will make it easier for China to deal with a secular leader who does not head an institution with national and governmental aspirations is, as noted, myopic. Chinese pressure will still continue. If the new Kalon Tripa is to meet major world leaders, it will only be in the company of the Dalai Lama, though even that is unlikely. Chinese objections were already part of the reason that the Dalai Lama only met Barack Obama on his second trip to Washington. That there was no meeting during his first trip, as would normally have been the case, did not go unnoticed, nor did the fact that when the Dalai Lama did meet with the U.S. President the visit was marred by a departure through a White House exit strewn with garbage bags, a scene captured in photographs. Far and away, the advantage is China’s. The self-inflicted setback for Tibetans is striking, given the wide support the Tibetan movement has always received. Other groups with similar issues with China fade into the shadows of international purview by comparison. So it is interesting that in early May, exile Uyghur delegates at a summit meeting agreed to make self-determination the lynchpin of their movement, their spokesperson publicly stating that “Tibetans got absolutely nothing from China by pursuing autonomy.” China has played its cards right and is now simply sitting back and waiting for the credibility of the Tibetan exile establishment to further melt away.